We repair all makes of freestanding and integrated dishwashers offering a same day/ next day service within the Birmingham and Solihull areas. We repair all makes. Examples of which are Bosch, Smeg, Beko, Hotpoint, Howdens, Indesit, Aeg, Ariston, Electrolux, Miele, Baumatic, Candy, Hoover, Lamona, Siemens, Samsung, Whirlpool and Zanussi. Engineer’s vans are stocked with the most common spares and we have same day access to Europe’s largest spares stockist. Our engineers have expert knowledge about dishwashers allowing them to guide you to an economical result. At Appliance Service Centre it is our mission to provide you with the best possible quality, economical dishwasher repair in Birmingham and Solihull. 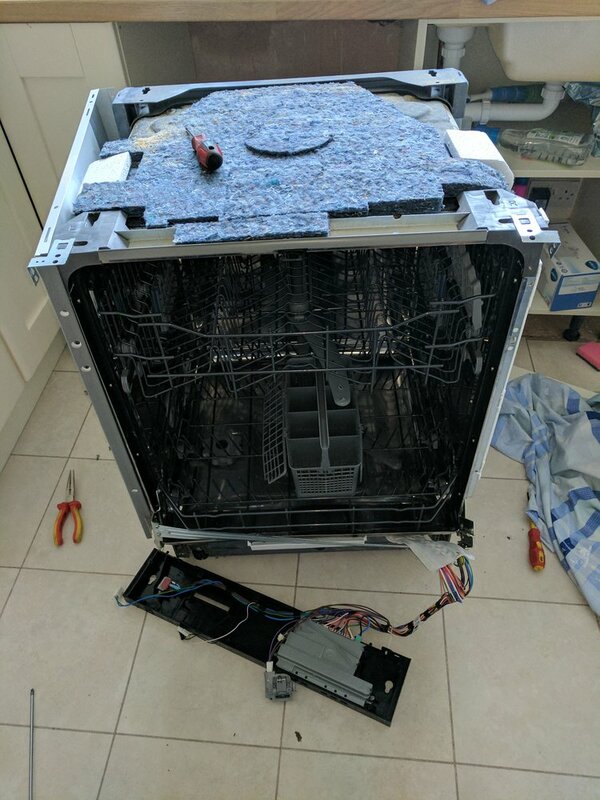 All of our engineers are friendly and professional and ready to repair all makes of dishwasher. With all our vans well stocked with the most common parts we are ready to provide a fast repair service, aiming to complete your repair first time. Each repair starts with an engineer calling you in advance. This is to advise you on the best course of action. Some dishwasher problems can be solved with advice over the phone. If not we can call and help you. No matter what the problem our engineers can diagnose the problem and offer a solution. We will conduct a free safety check on the appliance on resolution.